A medical ID is exactly what EMTs look for when they find the patient unresponsive and disoriented. A majority of EMT specialists services have now been effectively trained to realize the importance of searching for a person’s medical ID before administering any treatment. And millions of lives are saved every year thanks to medical alert jewelry. Apart from these illnesses and health disorders there are plenty of other medical conditions you can buy an alert ID for. Wrong. 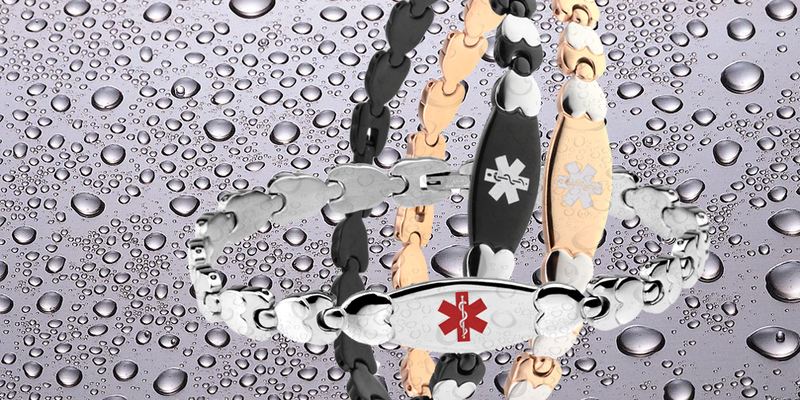 The best thing about Medical alert bracelets is the fact that they are customizable. Apart from having unique things engraved on them to personalize your own bracelet, you can have the size of the bracelet adjusted by the vendor you bought it from. Untrue. Although there is not a lot of space on the medical ID bracelet or locket, but if there is, you can have the names of prescribed medications printed on your bracelet. As a matter of fact, there are a plethora of options available and you can select from interchangeable and fixed Medical alert bracelets, lockets, charms and dog tags. Interchangeable IDs enable users to change the strap or chain of their bracelet or locket. There is no doubt that you should always wear your medical ID bracelet. You can never know when something bad happens, and when it does, you have to be prepared with all the necessary things that can help you through your ordeal. And medical identification bracelets can substantially help you get the right treatment at the right time in case of any unforeseen emergency. This entry was posted in Uncategorized and tagged Medical Alert Bracelets, Medical id bracelet, medical ID dog tag, medical ID necklace.